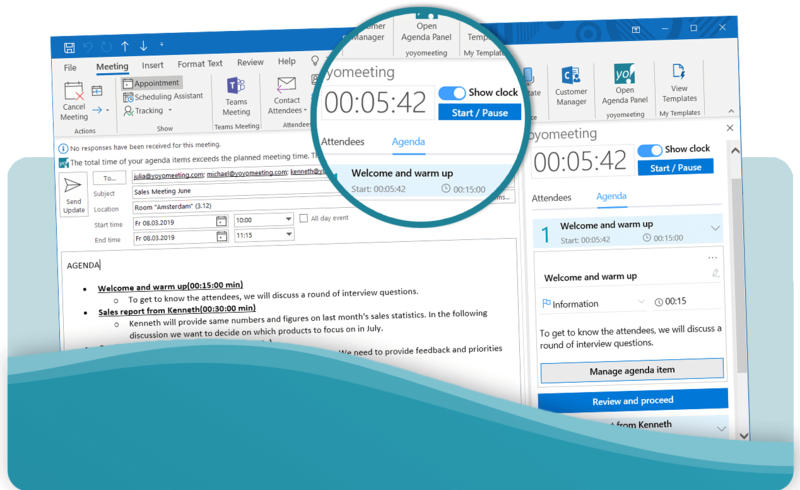 Manage your meeting, assign tasks and get ready right on time. And the meeting notes? Simply done on the fly! You are probably used to take unstructred notes in your meetings, then preparing a decent documentation from your notes when the meeting was over … and you found the time doing so. Instead of collecting unstructured notes, just record decisions, take personal tasks and collect side issues right in our add-in and during the meeting. And even the remaining meeting notes can now be recorded on the fly. The result: the meeting documentation is completely done, when the meeting is done! 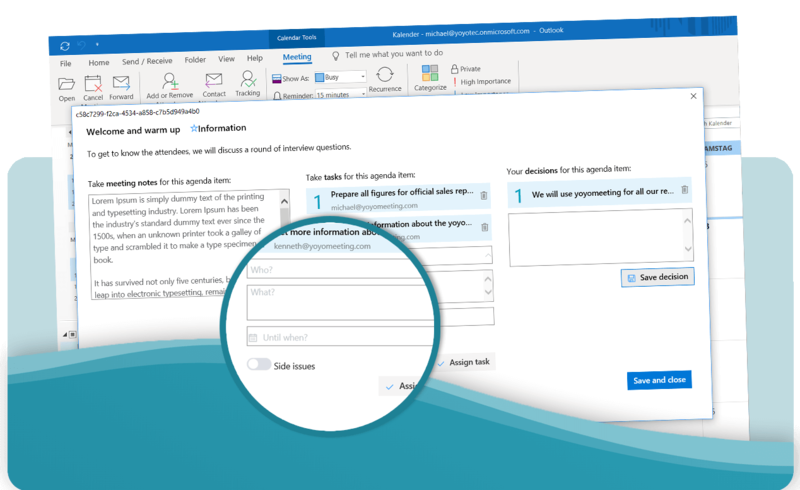 Assign individual tasks to your meeting participants. All meeting notes, tasks, decisions and side issues are part of the automatically generated meeting documentation. So everyone can see “who has to do what until when” and can set individual follow-ups. 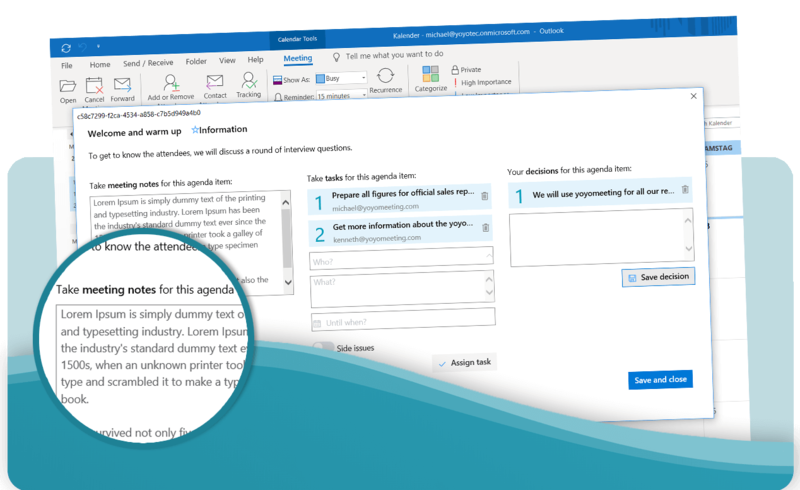 Personal tasks get delivered right to the responsible attendees inboxes so nothing gets lost and everyone can manage their tasks as they like (Outlook tasks, Planner, Slack, …). Most meetings are summoned to make group decisions or to confirm a decision made earlier somewhere else. 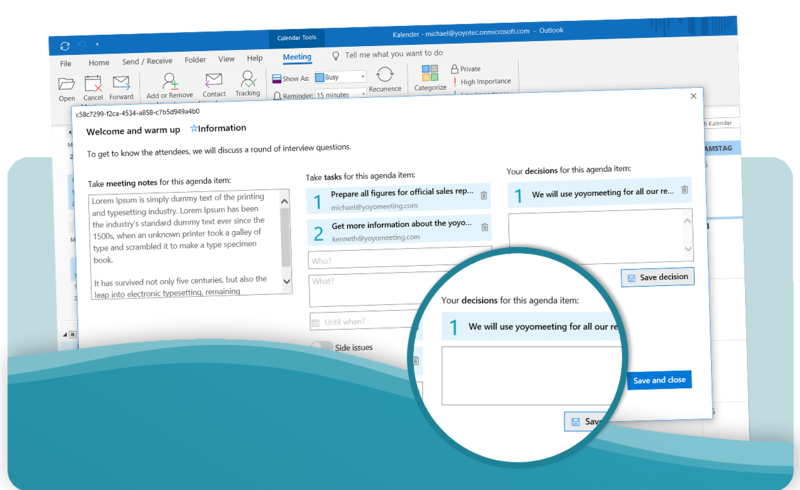 In yoyomeeting you have an extra section to either take down new decisions raised in the meeting or to show and confirm a decision made earlier. You have already set a time box for the meeting and each agenda item in the meeting invitation. Now yoyomeeting supports the meeting host to keep it. Learn more about "after the Meeting"